24/7 Support & Access to Discord Group, Ships Next Day! Trending at $6.27Trending price is based on prices over last 90 days. 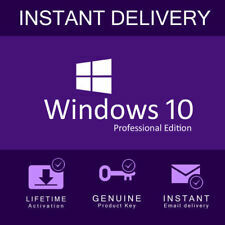 Microsoft Windows 10 Home 64 Bit Full License | Media + COA Product key | New ! 268 product ratings - Microsoft Windows 10 Home 64 Bit Full License | Media + COA Product key | New ! This page was last updated: 24-Apr 06:14. Number of bids and bid amounts may be slightly out of date. See each listing for international shipping options and costs.